Successful World War II-era campaigns to eradicate dengue has kept the United States free from the mosquito-borne virus for almost forty years but the virus is making a comeback and we have globalization to thank: an increased flow in international travel to and from tropical destinations are causing isolated outbreaks in Hawaii, Texas, and Florida. Just last week, Texan public health officials confirmed 18 cases of dengue in the southernmost tip of Texas and a recently discovered case in Long Island, NY suggesting that the virus, dubbed “breakbone fever” for its excruciating aches and pains, is gaining an unwelcome foothold in the States. Over 380 cases of imported dengue virus were recorded for the year 2013 as of November 19th. Pink counties indicate positive test findings, whereas yellow counties are indicative of negative test findings. Image: US Geological Survey/Centers for Disease Control & Prevention. Eradication of dengue from a region relies upon breaking the circle of transmission from human to mosquito and back to human. This requires killing every single mosquito infected with the virus while also ensuring that any individual infected with dengue is safe from mosquito bites. It can be a difficult and an extraordinarily costly process. Sadly, we are at the point of losing the hard-won achievement of a dengue-free America. 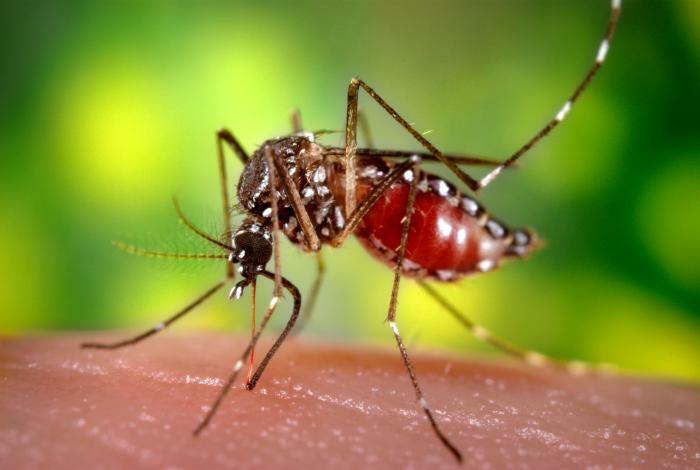 The United States is at the sweet spot for the reintroduction of this mosquito-dwelling virus. We have the mosquito vectors. We have the climate. We have the human bodies. All that’s needed is an imported case of dengue – either from an American returning from travel overseas or a visitor from a dengue-endemic country – to reintroduce the virus to the millions of biting mosquitoes that are infamous down here in the south. Two maps from the U.S. Geological Survey perfectly illustrate the current disparity between local and imported cases of dengue. Local cases of dengue in the continental United States are currently confined to Florida and Texas, though this data may not be accurate for the current outbreak in Texas. Imported cases of dengue are another matter, with cases recorded in 36 different states. Herein lies the crux of the matter: a successful and long-standing program of disease control is being undermined by the facts of the modern age, specifically an increased access to international travel. In a few years time, will the numbers of local cases eclipse those of the imported? Cases of locally acquired dengue virus in the United States as of November 19th for the year 2013. Cases are localized solely to Florida and Texas. Pink counties indicate positive test findings, whereas yellow counties are indicative of negative test findings. Image: US Geological Survey/Centers for Disease Control & Prevention. “Cases of dengue in returning U.S. travelers have increased steadily during the past 20 years. Dengue is now the leading cause of acute febrile illness in U.S. travelers returning from the Caribbean, South America, and Asia. Many of these travelers are still viremic upon return to the United States and potentially capable of introducing dengue virus into a community with competent mosquito vectors” (1). And it is being introduced. This past May, researchers in the Laboratory of Emerging Pathogens embedded within the U.S. Food and Drug Administration issued an excellent review on the current state of dengue in the US. Their study identified common characteristics of the dengue outbreaks in the US over the past two decades and found evidence that dengue is indeed being brought into America from overseas (2). In examining the molecular epidemiological evidence from the large dengue outbreak in 2001 to 2002 on the big island of Maui, HI, it was discovered that the outbreak stemmed from two strains of dengue, both genotypes belonging to the “Pacific subtype” that are phylogenetically similar to Tahitian strains. The epidemiological evidence suggests that at least one person, in their travels to or from or via French Polynesia, brought the dengue virus to Hawaii. A female Aedes aegypti mosquito in the process of taking a blood meal. A. aegypti is the primary vector responsible for the transmission of dengue virus. Image: CDC/ Prof. Frank Hadley Collins. Other major transportation hubs including Atlanta, Washington, D.C., New York City, Los Angeles and San Francisco are also likely epicenters where tropical pathogens such as Japanese encephalitis and Chikungunya virus could be making an extended layover. “Many large cities in the US are important hubs for air travel and receive a high number of individuals potentially infected with pathogens that cause asymptomatic disease … there is an increasing risk of introduction of these ‘exotic’ pathogens to urban conglomerates where mosquito vectors are present or have the potential to become established” (2). Hunting through the imported dengue maps at the U.S. Geological Survey confirms those fears: most imported dengue cases are clustered in counties with high-density metropolitan areas. Washington’s King County. California’s Alameda and San Diego. Connecticut’s New Haven. New York County. Florida’s Miami-Dade. Dengue is back and it’s coming to a city near you. Eradication of dengue is contingent on keeping the disease out of the United States and out of our American mosquitoes. We already have the conditions for dengue in many parts of this country – the wide distribution of the mosquito vector Aedes aegypti and a warm, temperate climate across the south – and its reintroduction from tropical areas has allowed for the possibility of (1) the disease returning to its old stomping grounds; (2) evolving into something worse; or (3) increasing its “natural” geographical distribution due to the larger population, greater turnover of people, and enhanced transport and labor connections across this country than that which existed during dengue’s earlier heyday in the 1940s. 2) G Añez & M Rios (2013) Dengue in the United States of America: A Worsening Scenario? Biomed Res Int. Epub 2013 Jun 20. Link.